Cerebral palsy is caused by damage to a baby’s brain, either before, during, or after birth. Cerebral palsy causes seizures, irregular or jerky movements, muscle stiffness, speech difficulties, mental impairment, and other serious disabilities. It is a life-long affliction that requires continual care, therapy, and extra services for the child throughout his or her lifetime. 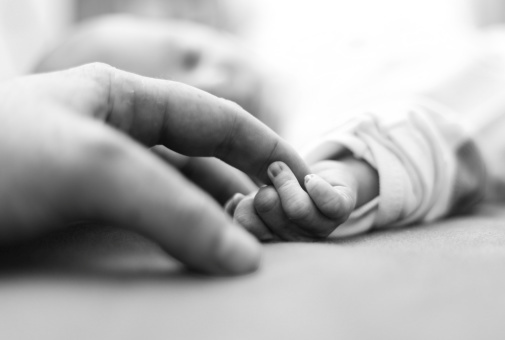 In cases where medical errors during pregnancy or child birth are the causes of cerebral palsy, there may be legal recourse to recover the many expenses associated with caring for the child. Cerebral palsy occurs when there is damage to the nerve cells in the brain. The brain becomes unable to deliver the proper signals to muscles to make them move, which leads to the symptoms of cerebral palsy. In some instances, cerebral palsy is caused by medical error during pregnancy. Failure to detect or properly treat infections such as meningitis in the mother during pregnancy can lead to cerebral palsy. Medical error during child birth is also often one of the causes of cerebral palsy. Cerebral palsy can result from a condition called hypoxia (lack of oxygen to the brain) or asphyxia (lack of oxygen to the body) during birth. Failure to properly manage birth complications like breech presentation, premature birth, and oversized or underweight babies. Babies also can be born with cerebral palsy through no fault of doctors. The abnormality in brain development that causes cerebral palsy in most cases is beyond the control of doctors. Often, the exact trigger of this abnormality is unknown. In trying to determine whether a child has cerebral palsy, doctors will assess his or her symptoms. Doctors will take full medical histories of both parents and may also do genetic testing to rule out genetic diseases, nerve disorders, and muscle diseases. Doctors will also consider whether there are any risk factors for cerebral palsy. Low birth weight. Children who weigh less than 5 ½ lbs at birth, especially those who weigh less than 3 lbs, 5 ounces, have a greater chance of having cerebral palsy. Premature birth. Babies who were born before the 37th week of pregnancy, especially if they were born before the 32nd week of pregnancy, have a greater chance of having cerebral palsy. Multiple birth. Twins, triplets, and other multiple births have a higher rate of cerebral palsy. Some, but not all of the increased risk is due to the fact that children born from multiple pregnancies are often born early or with a low birth weight. Families who are raising a child with cerebral palsy are under a tremendous amount of pressure as they plan for the lifetime of care that a person with cerebral palsy requires. The family of an individual with cerebral palsy is likely to incur significant expenses related to the ongoing need for medical care, special education services, and assisted living. If you believe your child’s cerebral palsy was caused by medical error, the attorneys at Eisbrouch Marsh can assist you. In cases where reasonable medical care could have prevented the injury, parents may be able to file a medical malpractice lawsuit. We can review the circumstances of your pregnancy and delivery and determine if you are eligible to pursue legal damages. We have a registered nurse on staff who can assist in reviewing the details of your case. The attorneys at Eisbrouch Marsh have won substantial settlements for victims of birth injury malpractice. We are available for a free consultation, and will not charge any fees unless you win your case. Families of children with cerebral palsy should be aware, however, that statutes of limitation govern malpractice suits. This means that there are deadlines in each state that may bar a child’s right to obtain benefits. Does your child have Cerebral Palsy?